We’ve got great news to share! Today we’ve added 240+ Showcasing Artists to perform the 2019 SXSW Music Festival, March 11-17, 2019. If you haven’t already read last month’s announcement, check it out! It’s full of great artists who will be performing in March. 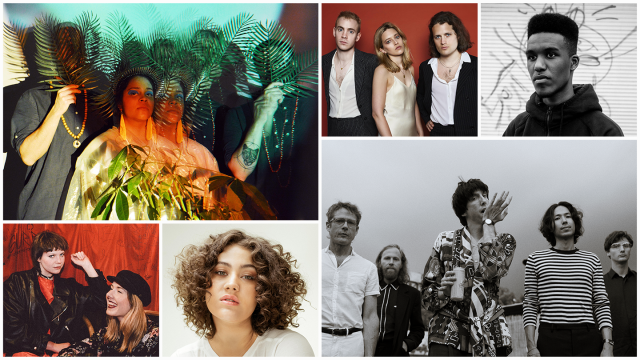 Today’s Showcasing Artist additions include 4AD’s experimental indie-rockers Deerhunter, Nigerian afrobeats star Mr. Eazi, 2018 Mercury Prize nominee Novelist, Also joining the list are Chicago R&B duo DRAMA, Berlin-based garage pop duo Gurr, Northern Irish singer-songwriter Jealous of the Birds, and UK-based space funk act The Comet is Coming. This fall we announced a Keynote Conversation between Shirley Manson (Garbage) and Lauren Mayberry (CHVRCHES), Featured Speakers Amanda Palmer and Ross Golan, and 600+ Conference sessions. Yesterday we announced our latest round of Keynotes and Featured Speakers including Music Tracks Featured Speakers Lance Bass (*NSYNC), Laura Jane Grace, SoundCloud CEO Kerry Trainor, and Chris Lee, Head of A&R at K-pop behemoth SM Entertainment. Reserve your spot in the middle of the action by registering to attend SXSW 2019. Register before the December 7 deadline and you’ll save $300 on the walk-up rate, in addition to having the opportunity to book your accommodations through SXSW Housing & Travel while there are still great options downtown available. SXSW attendees can save between 35%-50% using SXSW Housing’s contracted hotel rates compared to direct bookings and online travel agencies. The Music Badge provides primary access to all showcases, Music and Convergence Tracks at the SXSW Conference, and Comedy Festival Showcases and Events as well as secondary access to Film programming and Interactive Tracks, Keynotes, and Featured Speakers. Stay on beat – sign up for SXSW Event Updates and follow us on social media for regular updates – Twitter, Facebook, and Instagram.